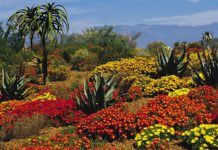 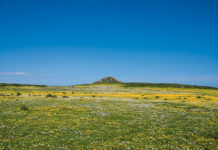 The Cape Floral Region, one of South Africa's eight World Heritage sites, comprises eight protected areas stretching from the Cape Peninsula to the Eastern Cape, cutting across spectacular mountain and ocean scenery and containing some of the richest plant biodiversity in the world. 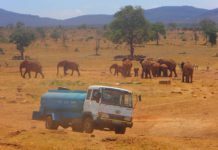 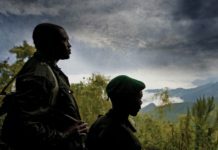 Visitors to South Africa are always keen to see the country's celebrated Big Five - neglecting a wealth of smaller wildlife. 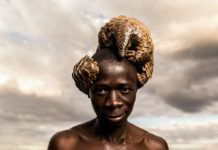 To remedy this, some clever people came up with another must-see list, the Little Five: elephant shrew, ant lion, rhinoceros beetle, buffalo weaver and leopard tortoise! 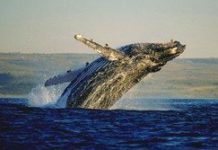 There's more to South African wildlife than the celebrated "Big Five". 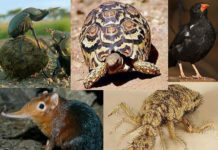 From big to small, meat eater to ant eater, primate to reptile ... our animals (and birds) are wild, varied and abundant.